So glad I caught this on Prairie Home Companion. JD McPherson and North Side Gal. Free legit download here. 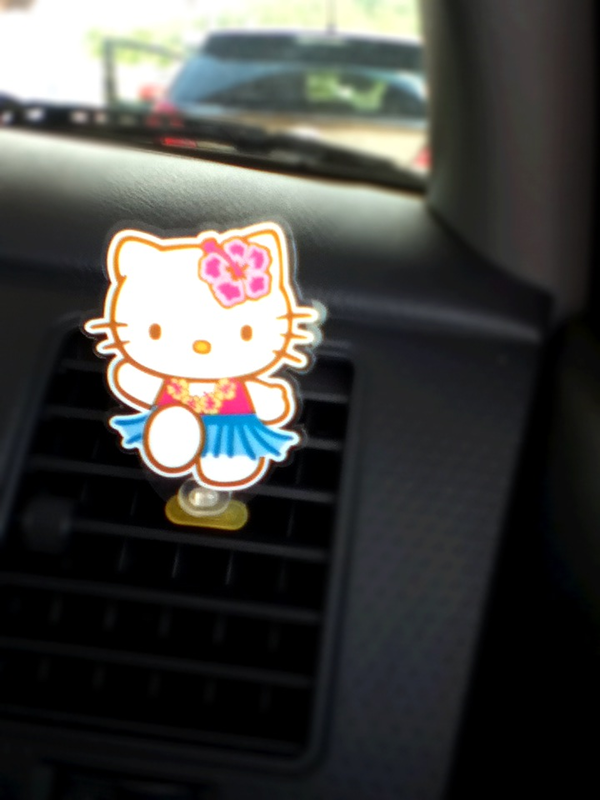 Hawaiian Hello Kitty car air freshener. Isn’t she sweet? I bet Adele could do an amazing cover of this but this version is lovely and makes me want to slow dance with my man. Hoo-ray for dollar stores. 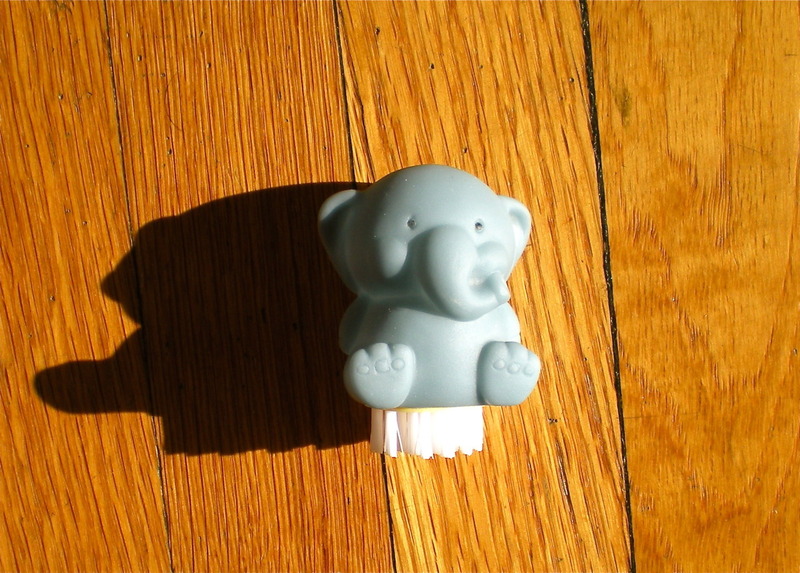 Look at the adorable elephant nail brush I got from the Dollar Tree. The candy wasn’t so good but the this Hello Kitty Nerd tin now holds some straight pins for sewing.